Hello! My name is Matthew Dunshea, and I am the owner of Integrity Pools. Our mission is to help you love your pool again by relieving you of the burden of pool maintenance, pool leaks, and a deteriorating pool. Here at Integrity Pools we still believe, that the customer is always right. We still believe that truth, honesty, integrity and a good work ethic are not just words but are instead, values & principles to live our lives by. We do not consider you the customer to be an entitlement. We know that the opportunity to serve you is a privilege that should never be taken for granted but instead held in high esteem and guarded. The Bottom Line is, You are the Bottom Line. At Integrity Pools, we are dedicated to being the industry leader in customer service, quality, integrity and dependability! Most people who own pools are professionals in their own occupations and they expect to be treated in a professional manner by the vendors they choose to do business with. We have built our company based on this philosophy. This is why our focus is on Professional Service, Exceptional Quality and the very latest in Pool Technology. Waterfalls Pool Service is a pool service / pool company serving the McKinney, TX area. Services include Pool Cleaning, Pool Maintenance, Pool Repair, Pool Service, Water Testing, Pool Opening, Pool Closing and Acid Washing. We believe in building relationships with our customers and value the opportunity we have to care for their pool. Our attention to detail, and the hard work we put into each swimming pool is unmatched by any other company. Our mission is to conduct our business in an ethical and honest manner. 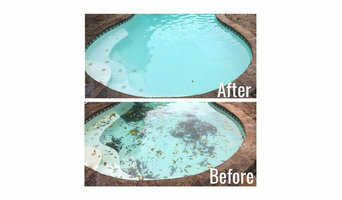 We are confident that we provide the best pool care in the Dallas/Fort Worth metroplex. In fact, we guarantee your satisfaction. We believe no dream is too small or too ambitious for your backyard. 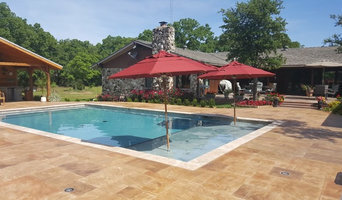 Whether your swimming pool is in need of a basic resurfacing, updated with a new water feature, or a complete pool remodeling, Lifetime Pool & Patio is DFW's first choice for custom swimming pool remodeling. You will meet with one of our representatives who is extremely knowledgable, and will listen carefully to your pool remodeling goals. We will offer options to upgrade your pool according to your budget and timeline. Our goal is for you to be happy with the outcome of your pool remodel. Throughout the years that we have been in business, we have steadily grown largely because of referrals from our satisfied customers. We treat your project as though it were for one of our own backyards. We have been in pool & spa business since 1984. Over these years I have been factory certified in equipment installation and repair by companies such as: Pentair, Jandy, Teledyne Laars, Raypak, Sta-Rite, Hayward, Polaris, Loop-Loc Safety Covers and many more! I’m able to do all types of pool maintenance and repair. I install new equipment to be sure that your new products are working as intended. We also offer weekly and one-time cleaning services. Remodeling services such as plaster, tile, coping, deck recoating and replacement are also available. Dallas, Garland, Highland Park, Lake Highlands, Lakewood, Plano, Richardson, Rowlett, Rockwall, and University Park. 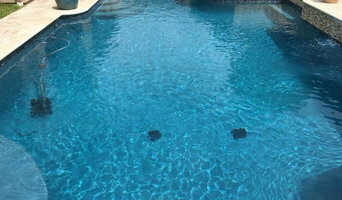 At D and C Pool Repair in Fort Worth Texas we install new equipment from the ground up, or we will repair your existing swimming pool equipment. We have a vast supply of parts at hand with over 3 warehouses we deal with so waiting for parts is kept to a minimum . Paradise Pool Services, Inc. is a Pool Service and Maintenance Company serving Plano, Allen, McKinney, Frisco and surrounding communities. We are a fully insured professional company with uniformed staff and company owned trucks. We offer great service at competitive rates. We’ve been in business for over 14 years serving our community by providing top notch pool service, maintenance, and installations for affordable prices. Born and raised in DFW, we know and love Texas. We strive to provide our community with the most competitive rates & highest quality of service for our customers who are not just a number, but part of our family. We offer year round pool service with a flat monthly fee. That will always include at least a once a week visit, all chemicals, and proper maintenance of equipment and pool by a licensed, trained, and insured technician. We have above ground pools for sale and offer above ground pool cleaning, repairs, and installation. Just contact us and we can easily show you the differences in pools and help you chose the right one for you no matter your situation. We can show you how simple they are to install or even install it for you. We also offer a variety of above ground pool equipment, liners, and accessories. We offer high quality, reliable, name brand pool supplies for affordable costs, with trained technicians you can trust to install properly. A beautiful patio and landscape is a essential part to any home or swimming pool. Let our experienced team at Flawless Pools and Spas create a customized landscape design for your home and swimming pool. Please don’t hesitate to call or contact us for any of your swimming pool, spa or outdoor needs. Welcome to Splishin’ and a Splashin’ Pools! We are a family owned and operated full service pool company that takes care of your pool the way it is supposed to be taken care of – the right way. We specialize in weekly maintenance, clean-ups, repairs, remodeling, filter cleanings, and vacation services. No matter how small or large your project you have reached the right company! Pool Tech is a swimming pool service company established in 1982. We have a long history of providing honest, top-notch, quality service at fair & reasonable prices. Our service techs are skilled in successfully diagnosing/repairing all types of pool equipment including filters, pumps, lights, valves, timers, automatic control systems & heaters. We provide leak detections and weekly maintenance service. We are insured IPPSA members. Sink or Swim pool service works with residential pool and spa systems. We specialize in pool cleaning service and pool repair in the Arlington, Fort Worth, Bedford, Euless, Hurst, Saginaw, Keller, Southlake, Grapevine, and Colleyville areas. We are Certified Pool Operators with over 35 years of experience servicing residential pools and spas. We have learned that many customers and systems have very specific needs. Because of this, we've developed service and maintenance plans that are designed to cater to these unique demands. When you work with Sink or Swim Pool Service, you will work one-on-one with an expert pool professional. We will learn exactly what your needs are, whether it is regular maintenance, repairs, or a totally new pool equipment system, and will provide you with the best solution. We believe that no job is too small and pride ourselves in our ability to stay within our clients' budgets and deliver our services in a timely manner. All Tex Pools is a locally owned and operated pool service company. We offer a wide variety of services, from pool maintenance to complete pool remodels. Our goal is to save you time and money while making your pool experience the most enjoyable as possible. We are a family owned pool service business that started in 1998 and in 2009, All Tex Pools opened to provide pool service to an expanded area of the Dallas-Fort Worth area including Coppell, Carrollton, Plano, Mansfield, Midlothian, Cedar Hill, Lake Ridge and the Lake Arlington area.